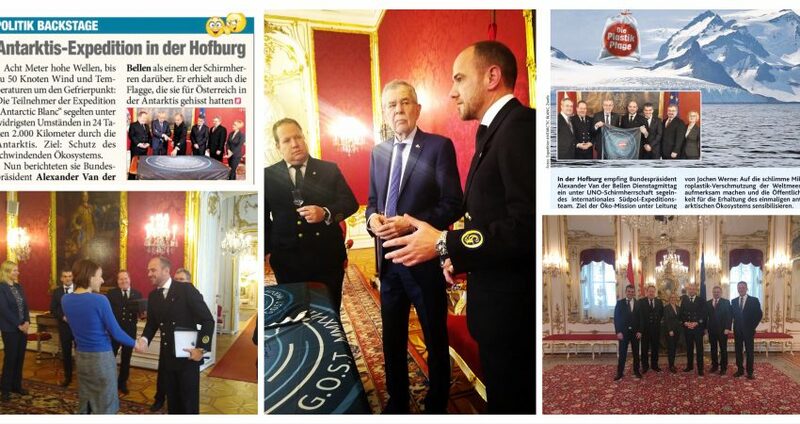 The two largest Austrian newspapers “Kronenzeitung” and “Heute” reported on the official visit of a delegation to the Hofburg. 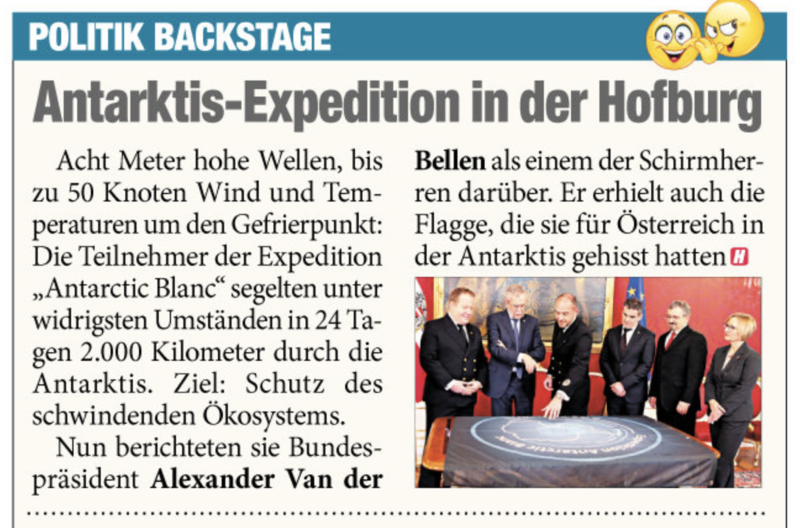 Together, the publications have a circulation of more than 1.5 million copies per day. 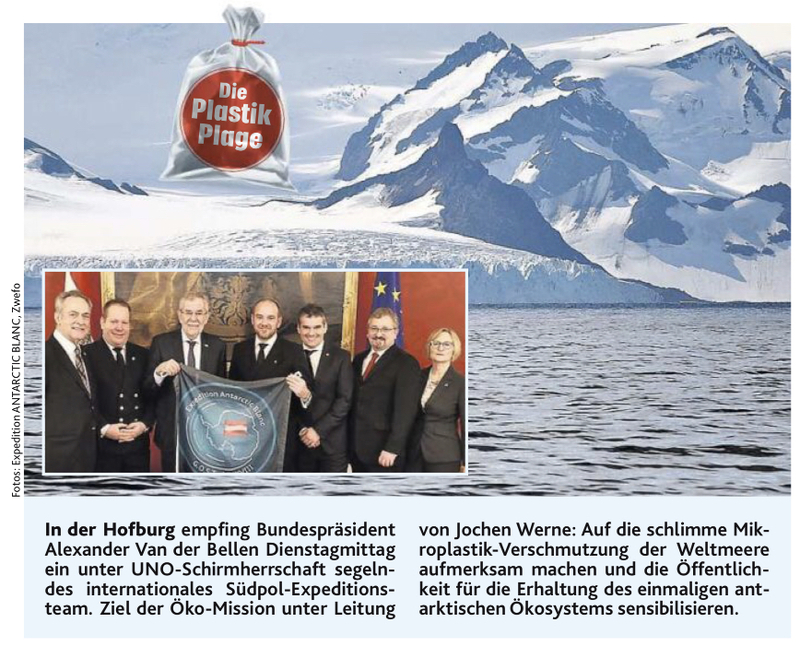 We are grateful to President Alexander Van der Bellen for the invitation, the President’s Press Corps and the press for the publications that support the goal of raising awareness of such important issues as the UNEP Clean Seas Initiative, the fight against microplastics in our oceans, the importance of Antarctica for our ecosystem and the importance of international cooperation and understanding.